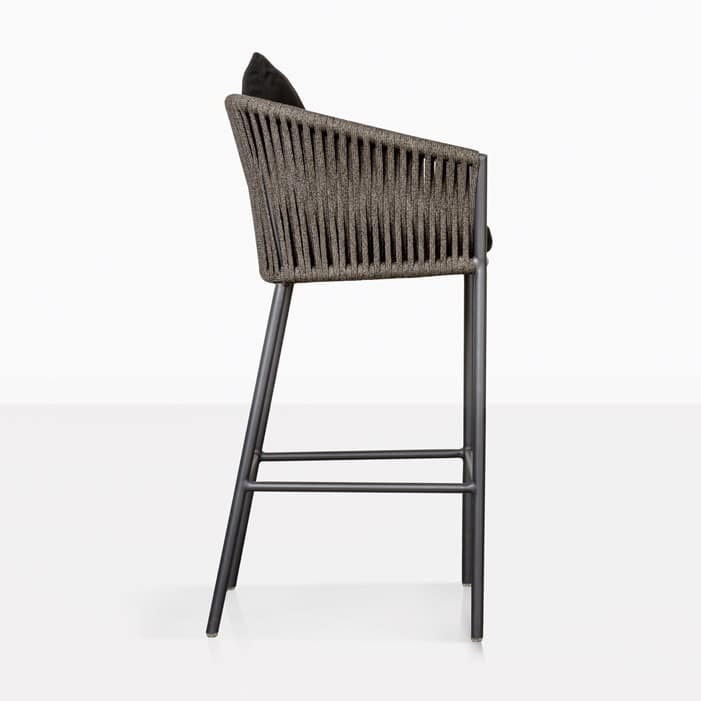 Time to recline while watching the sun go down in the unique, stunning, top quality Washington Rope Outdoor Bar Stool. Modern flair and designer style are qualities present in this incredible piece from the exquisite Washington Furniture Collection. Strong, durable with a contemporary touch, the Washington Rope All Weather Bar Stool, is your first step in creating a luxurious long lasting setting for your garden, patio, backyard or deck. Washington is known for its exquisite combination of style and quality. 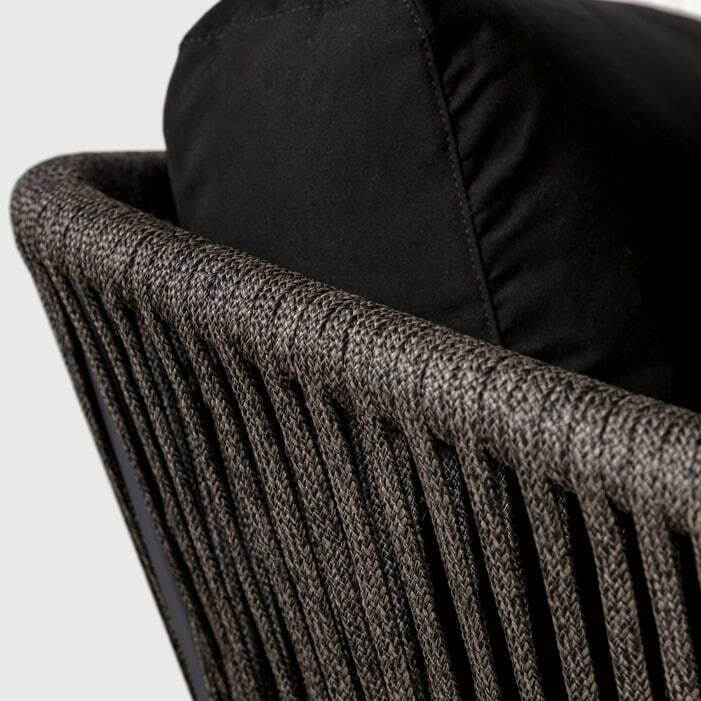 Each piece of furniture has strong lines and frame with a curved back and arms, soft cushioning and the special addition of Italian Rope. Not only gorgeous but made from outdoor materials! From the powder coated aluminum to the incredible polypropylene rope and Sunbrella© cushions filled with QuickDry© foam. 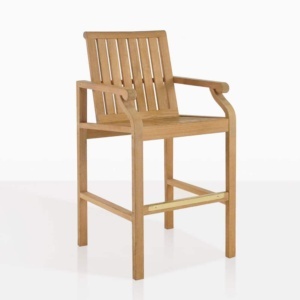 You will be enjoying pieces of garden furniture outdoors that are so elegant and stylish, they wouldn’t look out of place in your home! 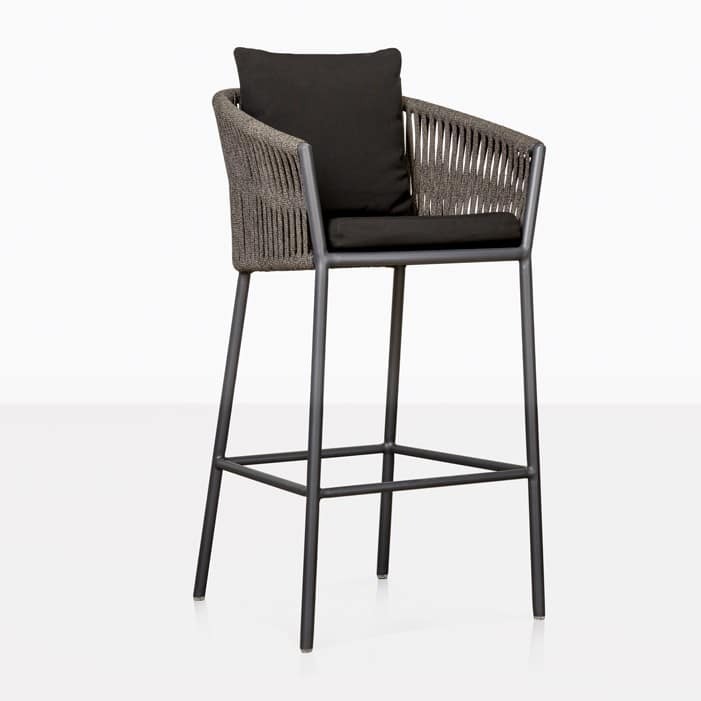 Create a stylish nook on the corner of your apartments balcony by setting four Washington Bar Stools around a Concrete Bar Table, you’ll be making the most of the view in comfortable luxury outdoor furniture. Bask in style by making a dining setting and a deep seating area side by side. Start with your Washington Rope Bar Stools dotted around a Reclaimed Teak Bar Table – already a tasteful and high-end furniture setting – then add a Washington Loveseat next to a matching Sofa with a complimentary Reclaimed Teak Coffee Table. And don’t forget the free Sunbrella® cushions as shown! 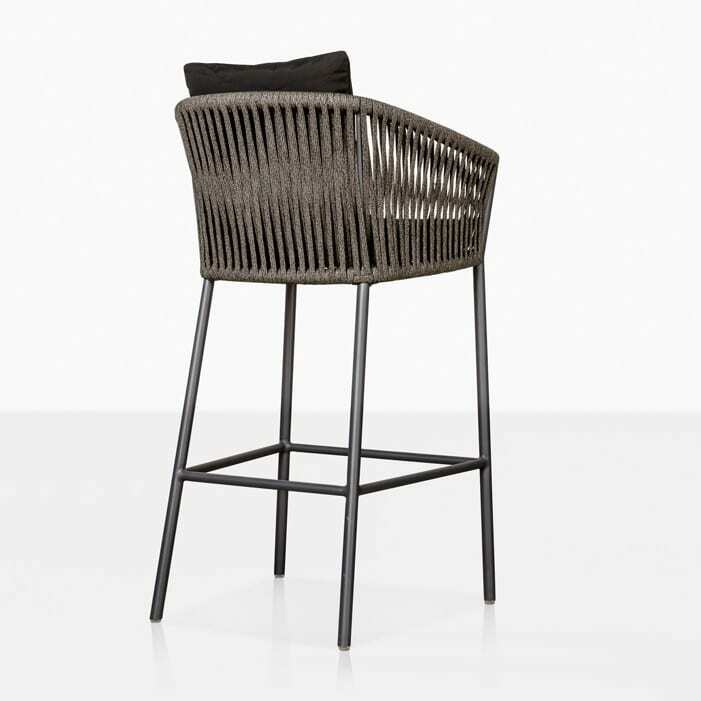 This Bar Stool really is something special, and something you don’t want to miss out on. What are you waiting for? 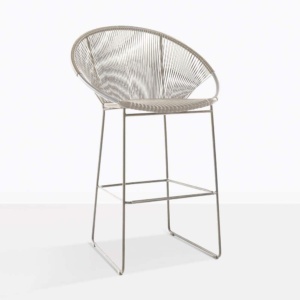 Call us now to secure your incredible Washington Rope Outdoor Bar Stool!